Sans Souci housed a bookstore and now belongs to the Louisiana Crafts Guild / L'ancienne librairie est maintenant la Guilde des Artisans de Louisiane. 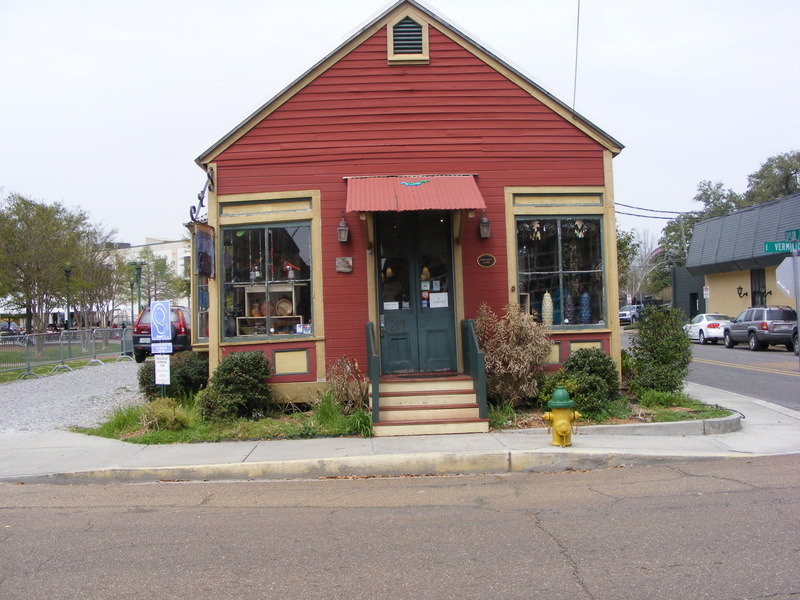 This quaint little building at 219 East Vermilion was once home to a book store but is now run by the Louisiana Crafts Guild and houses many treasures of Acadiana creativity. The Sans Souci Gallery takes its name from Miss Edith Garland Dupré’s home on Cherry Street. We are not sure when this cottage was built, but it has had many lives. 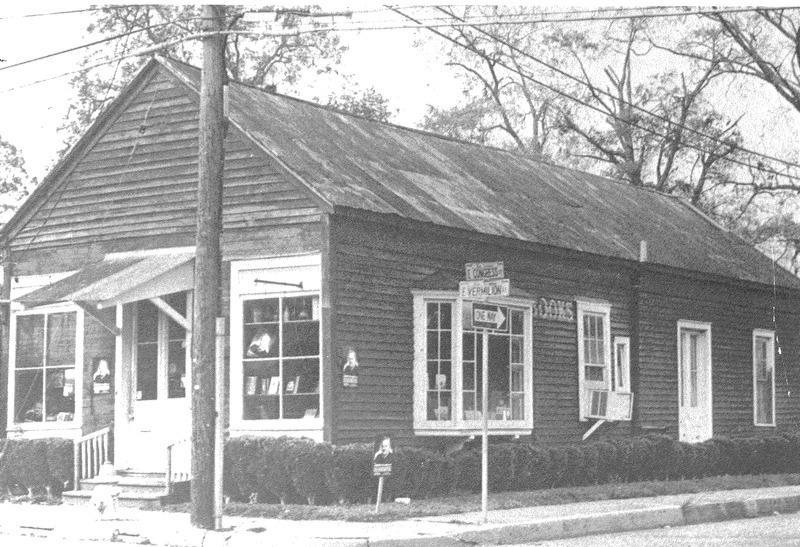 It was a post office, an overnight inn, a tin smith, and a shoe repair store before it was sold to Mrs Frederick Nehrbass in the 1940s. 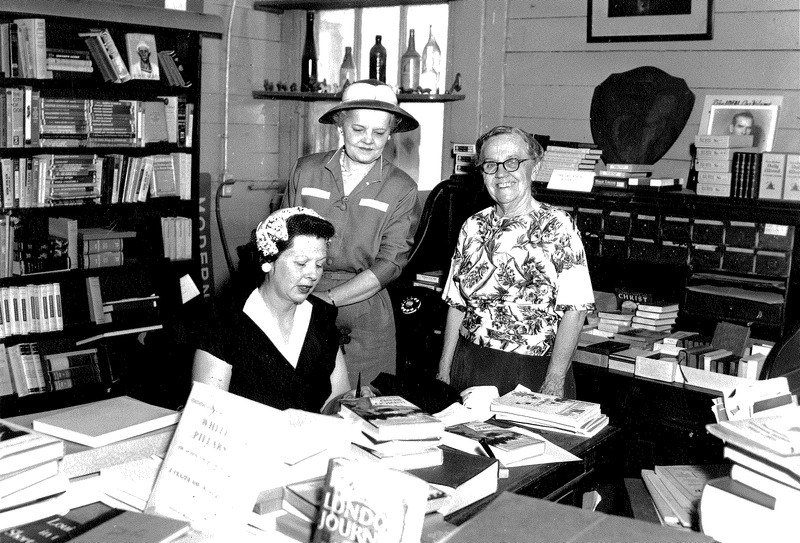 In partnership with Miss Garland Dupré, who was Registrar and head of the English Department at Southwest Louisiana Industrial Institute (now University of Louisiana at Lafayette), Ms. Nehrbass opened a book store in December 1943. Surrounded by modern buildings, the Sans Souci is made entirely of cypress. It has received many distinguished writers under its roof, among them: Frances Parkinson Keyes, T. Harry Williams, Irving Stone and Bennett Cert, founding member of Random House. 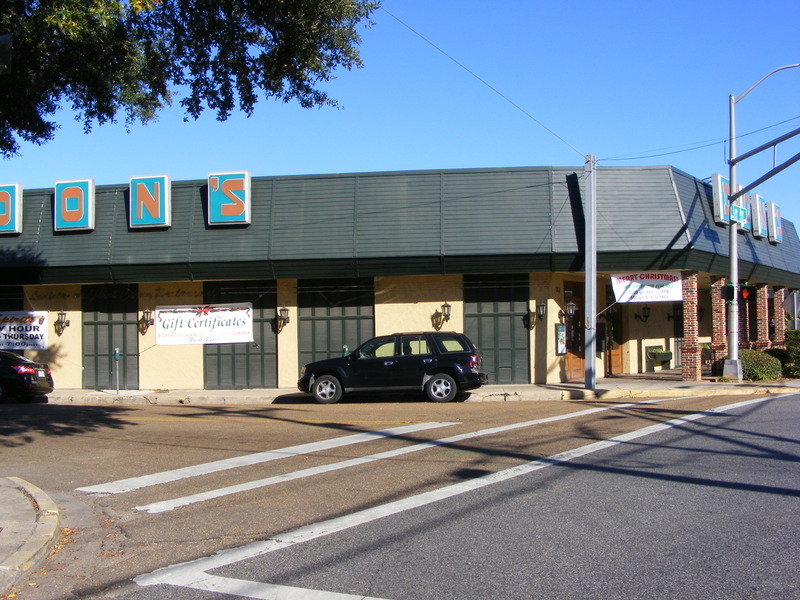 The first Cajun restaurant in Lafayette, Don’s has been here since 1934. This institution has changed little since its inception as Don’s Beer Parlor, now known as Original Don’s Seafood and Steakhouse. The Landry’s still own the restaurant and family members have expanded their tradition of excellence and courteous service to other locations. 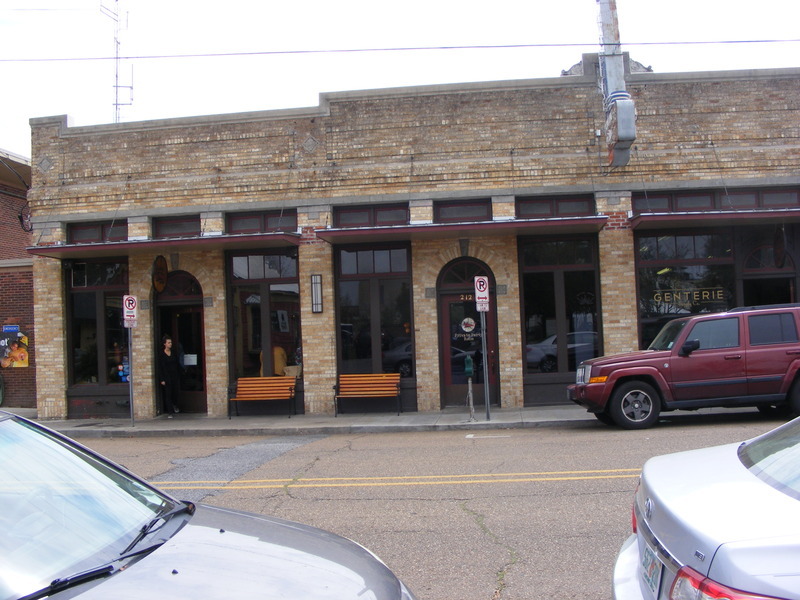 This Italian Eclectic Style commercial building was formally a print shop for a newspaper called Tribune. Its heyday must have been under State Senator Dudley LeBlanc. Cousin Dud, as he was known, owned the French Press in the 1930’s. This is the first place where he brewed his concoction that would cure all... well with the amount of alcohol in it, it made a difference. The product was called Hadacol.
" And what was it good for ? " Groncho Marks asked Senator LeBLanc on his radio show. LeBlanc answered, " it was good for five million dollars." The French Press is now a restaurant lead by local celebrity Chef Justin Girouard, a must for their breakfast, lunch or dining.